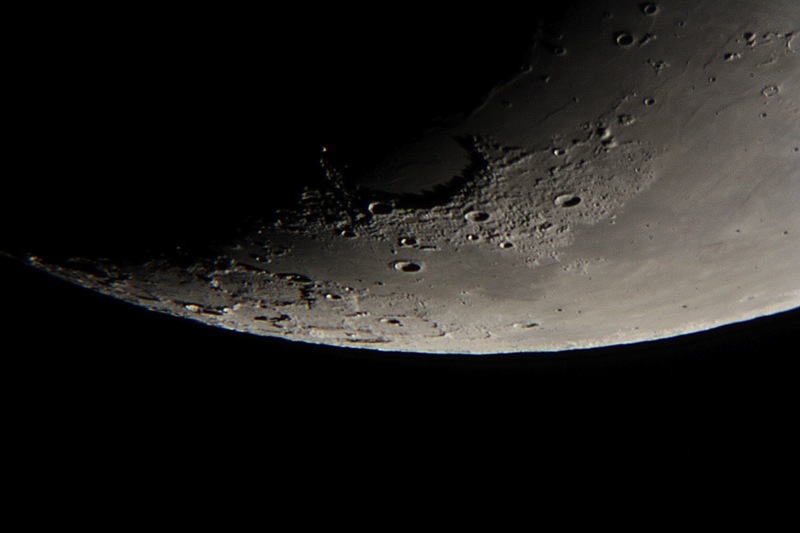 Sinus Iridium - Sinus Iridium, meaning "Bay of Rainbows" is apparent just above center in this image of a tip of the crescent moon. It looks like a broad "U" in the mentioned location, and here lies close to the terminator. This "bay" (which like the maria does not actually contain water), is bound by a mountain range, visible here casting a shadow onto the level terrain below.